HOUSTON -- The North Loop exit ramp at the North Freeway is reopen after a big mess caused by a heavy truck. 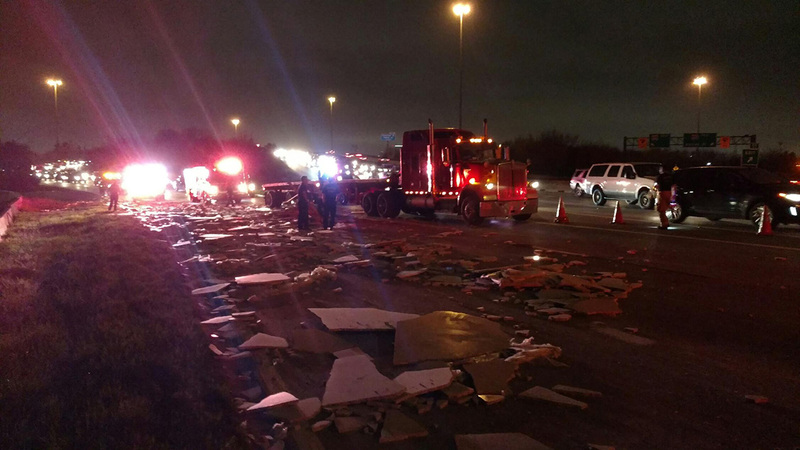 The North Freeway had more marble on it than a fancy bathroom after a truck lost its load there. The stone spilled everywhere, prompting police to close the ramp around 9:18pm. There were no injuries, but it did take hours to clean up.